Breathtakingly beautiful melodic, deep & ambient track of Mr Deka with warm old school house vocals that will take listeners, audiences & dancers to an other dimension where goosebumps, nostalgia & love rule the world. 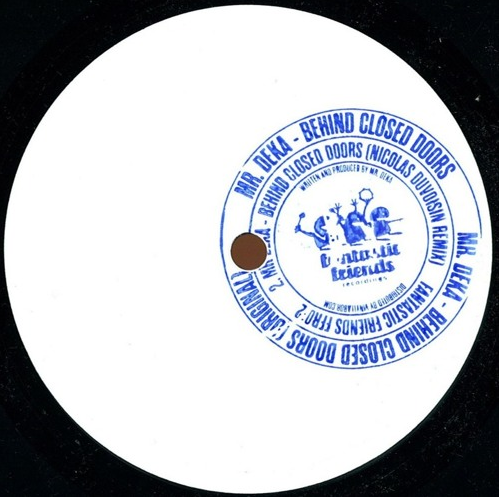 Behind closed doors Nicolas Duvoisin remix most delicate remix of label boss Nicolas Duvoisin who is working on thin lines, smallest details & a dash of sexiness, respecting the original work on one hand and on another hand bringing his own personal touch & energy. Ben Hoo : Nice! Will support both mixes, cheers guys! Dachshund : super nice ep Nico remix is super nice ! Dj Gogo: great Remix Nicolas! I love it. Kim Kemi : Nice release, full support! Nils Twachtmann : nice release! Noah Pred : Might try the original, thanks. Patryk Molinari : Nicolas` remix is the one for me!